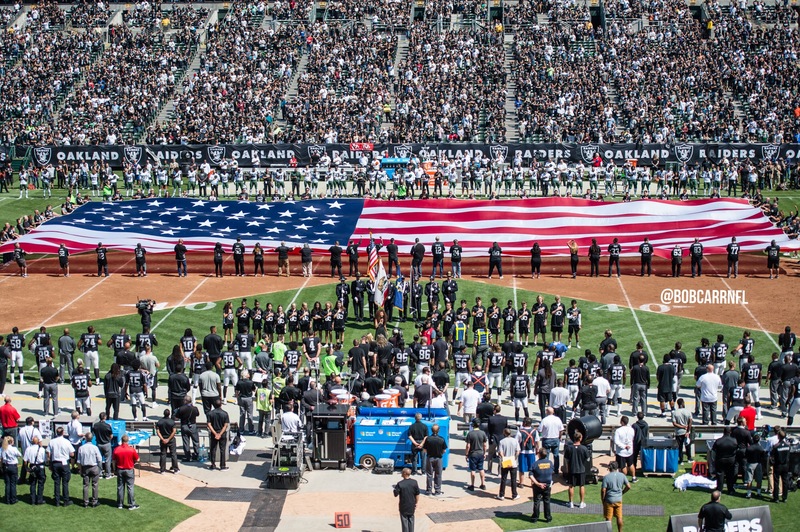 The Oakland Raiders stand just one game behind the AFC West leading Kansas City Chiefs after last week’s home victory over the Broncos and will now host a rebuild New York Giants team. Holding a disappointing 2-9 record, Giants head coach Ben McAdoo decided to make a change under center. After making 210 consecutive starts at quarterback, Eli Manning will sit on the bench to start Sunday’s game, giving way to Geno Smith. Smith has faced the Raiders three times before, holding a 2-1 record. Smith presents a different matchup for the Raiders as he is more mobile and has the ability to scramble out of the backfield. The Raiders linebackers must keep an eye on him and force him to throw form the pocket. The Giants are also without their top-two wide receivers in Odell Beckham Jr. and Brandon Marshall, leaving wide receiver Sterling Shepard as the top target. Shepard has a good combination of size and speed that can hurt the Raiders secondary. Tight end Evan Engram has emerged as a top target this season for the Giants, leading the team with 44 catches for 470 yards and five touchdowns — the most in the league for all rookies. Engram is a solid pass catcher that the Raiders safeties could struggle to keep up with. New York has struggled to run the ball this season, averaging just 91.6 yards per game while using a running back by committee. Orleans Darkwa has recently emerged as the top back, rushing for 519 yards on 112 carries this season. Shutting down the rushing attack will force Smith into an uncomfortable third-and-long and go a long way towards stopping the Giants offense. On offense, Raiders head coach Jack Del Rio will be without two of his top weapons. Wide receiver Michael Crabtree is suspended for the game following last week’s first-quarter, chain-snatching brawl, while Amari Cooper is out with a concussion and ankle injury after a big hit in the first half. 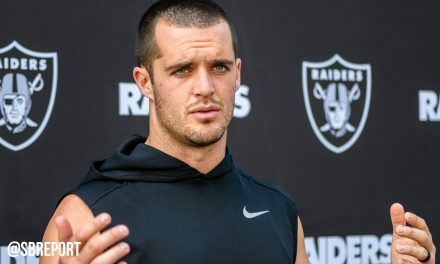 Quarterback Derek Carr will instead turn to Seth Roberts, Cordarrelle Patterson and Johnny Holton for the game. The Giants are allowing over 389 yards a game through the air and are now without one of their top cornerbacks. Janoris Jenkins was forced to get surgery this week and will miss the remainder of the season, making things easier for the Raiders young wide receivers. 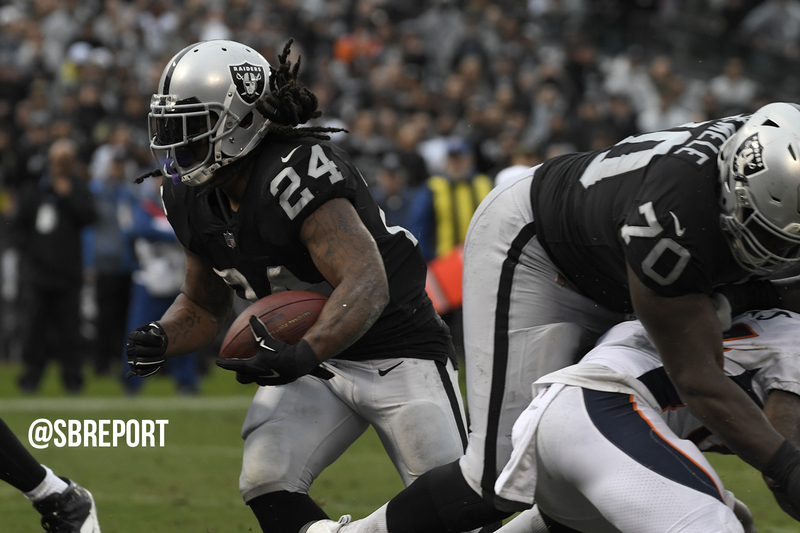 Veteran running back Marshawn Lynch will likely find some running room against a porous Giants defense that is allowing over 131 rushing yards per game, 31st in the NFL. The Raiders must stick to the rushing attack to allow Carr’s inexperienced receivers more time to get open on play action passes. Offensive coordinator Todd Downing and Carr will likely look to get their pass-catching running backs Jalen Richard and DeAndre Washington going as well. Tight end Jared Cook is also expected to see an increase in targets with the Raiders receiving corps so light. The Raiders will head to Kansas City next week to take on the Chiefs in a game with huge implications.